The White Comet is now inside the Milky Way and takes aim at the Earth. Yamato, smash the Comet Empire! In the year 2201, a new danger threatens the Earth! From out of the depths of space comes the deadly Comet Empire, a massive machine of destruction and conquest. Responding to a mysterious message of warning, the crew of Yamato blasts off to investigate the threat and they are quickly drawn into a conflict even greater than the war with Gamilas. To make matters worse, the defeated Gamilas leader Dessler prowls the galaxy on a quest for vengeance. New enemies, new allies, new loves and new dangers all come together in the second Yamato series, leading up to savage battles and dramatic plot twists that have to be seen to be believed! Yamato 2 made its Japanese broadcast debut in 1978, hot on the heels of the Farewell to Yamato feature film, retelling the story in a greatly expanded version with even more excitement and drama than its record-breaking predecessor. 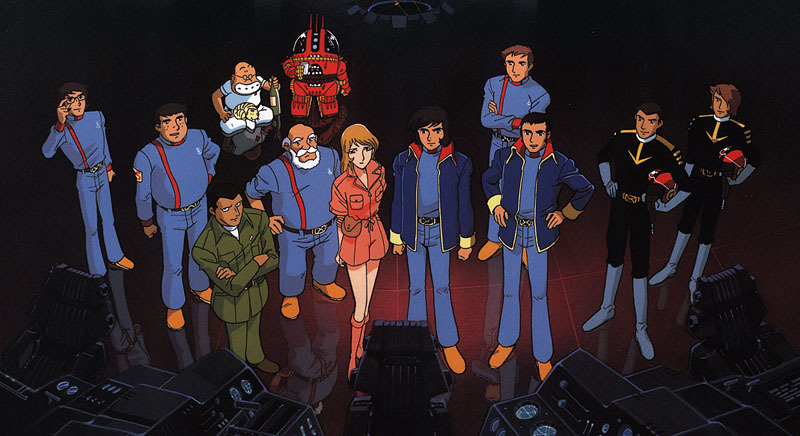 Just over a year later, it was seen by American audiences as the second Star Blazers series, and for many it remains their favorite chapter of the saga.